Chihuahuas are one of the cutest dog breeds around! Any owner of a Chihuahua will attest to this. In the 1990s, Taco Bell used a cute little Chihuahua as its mascot, and that helped to raise the interest in this wonderful little dog. The origins of the Chihuahua are clouded in mystery. In fact, no one seems to know for sure where they originally came from. 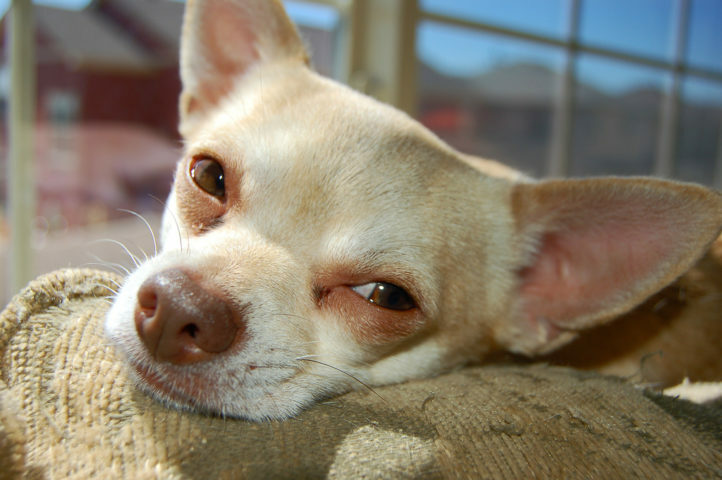 Chihuahuas came from Asia via Native Americans and the Bering Strait. The Chihuahua is indigenous to the Americas and descended from a breed of dog owned by the Toltecs called the Techichi. Chihuahuas came over to the Americas with the conquistadores. Whatever their origin, Chihuahuas have stolen the hearts of dog owners and enthusiasts everywhere! Despite their cuteness, owning a Chihuahua is a big responsibility. It’s important to understand the pros and cons of owning a Chihuahua before you bring one into your home. #1 Chihuahuas are adorable. While this has already been mentioned, it behooves me to say it again because they are the cutest dogs I’ve ever seen. That’s for sure. #2 Chihuahuas make a great pet if you live in an apartment. Because of their small size, an apartment provides plenty of space for a Chihuahua to run around and get exercise. #3 Chihuahuas are good watch dogs. While their size is not necessarily going to deter anyone, they are great at sounding the alarm and letting their owners know that someone is coming, or is at the door. Chihuahuas are very territorial. #4 Chihuahuas can be trained to use a litter box indoors. In my mind, this is one of the bigger advantages of owning a Chihuahua, although I would not use this as an excuse not to take your Chihuahua out for walks. Just like other dogs, Chihuahuas need their exercise too. Also, don’t use kitty litter in the litter box because Chihuahuas have been known to eat it. Ingesting kitty litter can prove fatal for these little dogs. Instead, use newspaper or some other organic material inside a Chihuahua’s litter box. #5 Chihuahuas are easy to groom. The fact is, grooming is almost nil. Chihuahuas just need to be bathed and have their nails clipped periodically, and they are good to go. This is only if you have the short-haired Chihuahua, of course. The long haired Chihuahua will require more brushing since its coat is longer and fluffier. #6 Chihuahuas tend to have a long lifespan. They can live anywhere from 11 to 20 years, with 15+ years being the norm. #1 Chihuahuas are fragile. They can be easily injured by something as innocuous as falling off the couch. #2 Chihuahuas are not good pets for children younger than teenagers. The reason for this is because a young child may not realize how fragile a Chihuahua is. It’s easy to accidentally injure a Chihuahua. Something as simple as normal rough housing can seriously harm a chihuahua. #3 Chihuahuas do not do well in cold temperatures. They are warm weather dogs. If you live in a colder climate, it will be necessary for you to put dog clothes on your Chihuahua whenever you take him outside. Most Chihuahuas hate cold weather and will do just about anything to avoid it, if they can. #4 Chihuahuas are not family dogs. They have a tendency to bond to just one person, and they remain loyal to that person. However, they are wary of other people. Chihuahuas have been known to nip or bite whenever they feel uncomfortable or threatened. #5 Chihuahuas tend to bark a lot. For this reason, if you live in an apartment complex where the walls are not particularly thick, a Chihuahua may not be the best choice for a pet. Particularly since Chihuahuas are very territorial and have a tendency to bark. #6 Chihuahuas have some health issues that you should be aware of. Two of the main concerns are molera (similar to a soft spot on the Chihuahua’s skull where the skull doesn’t fully close) and patellar luxation (where the kneecap slides in and out of a Chihuahua’s tendon, causing discomfort). Chihuahuas can make wonderful pets. It’s just important that you first understand the advantages and disadvantages of owning a Chihuahua before you bring one into your home.